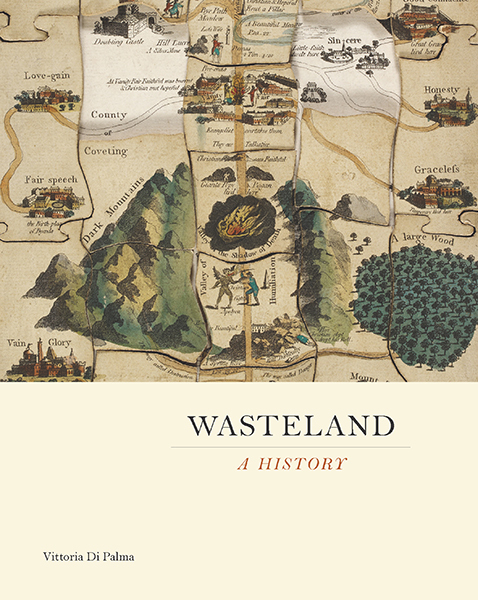 Congratulations to our author Vittoria di Palma, whose recent book Wasteland: A History has just received the Louis Gottschalk Prize for an outstanding historical or critical study on the eighteenth century, awarded by the American Society for Eighteenth-Century Studies. Read on for an excerpt from the book’s introduction, which makes us want to read the whole thing all over again. And for further reading, click here to read the December 19, 2014 guest blog post by Vittoria di Palma. Two years after the departure of the navy, the area it formerly controlled was designated a federal Superfund site, and the Environmental Protection Agency mandated a cleanup. But the cleanup too, proved contentious. Residents have been critical of the navy’s practice of burning large areas in order to locate leftover munitions and their penchant for detonating in open air the bombs that they find. Puerto Rico’s health department has linked the island’s high rates of cancer, liver disease, and hypertension to the presence of toxic chemicals in the island’s soil, groundwater, air, and fish. In addition to a toxic cocktail of tnt, napalm, depleted uranium, mercury, lead, pcbs, and a host of other hazardous substances present on the former navy testing sites, the eastern third of the island has the bonus of thousands of hidden and unexploded bombs. To avoid the possibility of residents or tourists stumbling upon and inadvertently detonating any live ammunition, the Department of the Interior has set aside more than seventeen thousand acres as a wildlife refuge for nesting leatherback and hawksbill sea turtles (the latter on the list of critically endangered species) and other forms of wildlife, “with the area used for exercises with live bombs . . . designated a wilderness area and closed to the public.” Despite Puerto Rico’s vigorous promotion of Vieques as a prime tourist destination, this section of the island is not expected to be open to human visitors at any time soon. the military, or contaminated by chemical waste, points to something more. It is a telling sign of a shift in our attitudes toward technology and toward our place within nature. This book aims to investigate that shift.